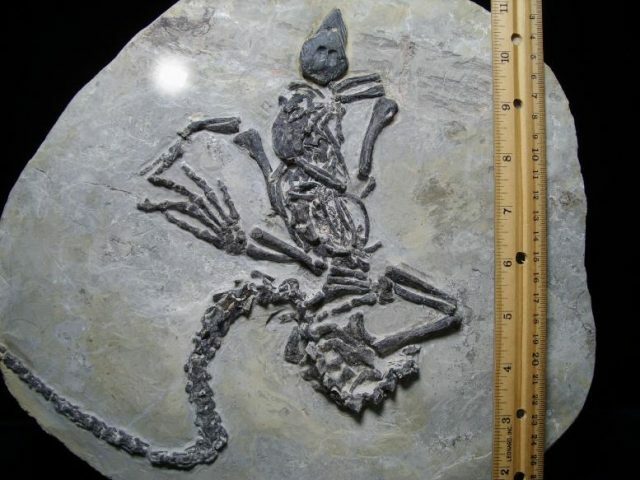 Yes – 90% of the animal skeleton is present, but it is in a very jumbled state. 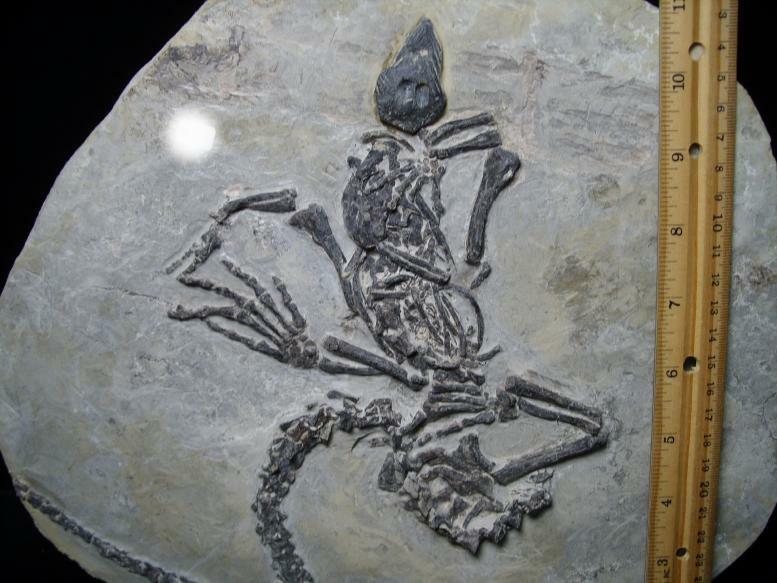 The skull was not found with the specimen, so the one seen in the photo is an inlaid one that has been carved out of slate to the exact size and shape of the missing one. These specimens are found in large nodules and you cannot tell how the skeleton will be laid out until you prep them. Some are perfectly laid out and other are disarticulated. If you have always wanted a near complete vertebrate skeleton but did not want to pay around $8000 for a perfectly articulated specimen then this is perfectly priced for you.